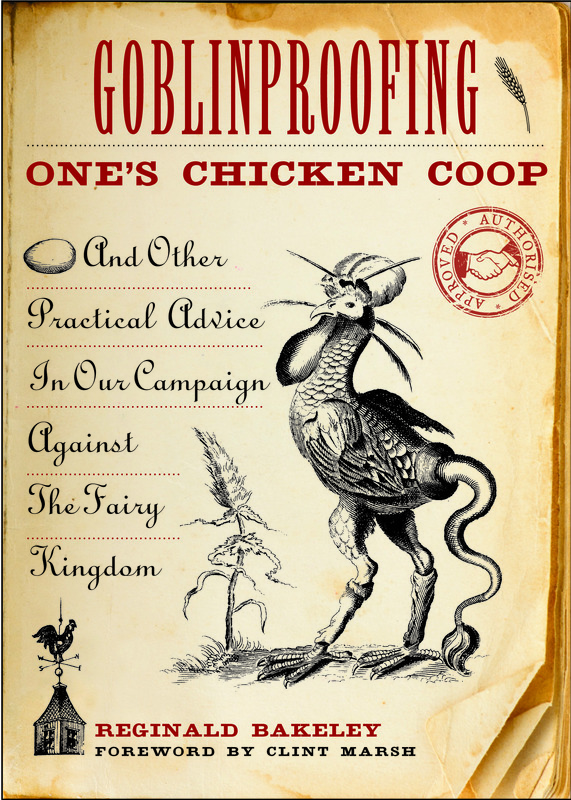 Never fear, aspiring chicken coopers! After a quick perusing of the chapter, you’ll have all the information you need to protect yourself and you can “go to bed early, my happy friend, and rise at dawn to gather eggs from your freshly goblinproofed chicken coop.” I did just that, minus the chicken coop, and had a ridiculous dream about joining the town council so I could advocate for getting revenge on the goblin that turned my legs backwards. But the book now at Amazon or B&N or wherever books are sold! This entry was tagged Clint Marsh, Goblinproofing One's Chicken Coop, goblins, Reginald Bakeley, The Hobbit, Varla Ventura. Bookmark the permalink.